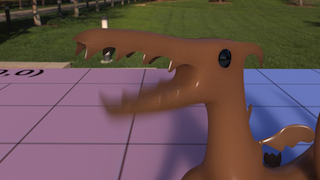 PRMan's RIS mode has full support for RenderMan's state of the art motion blur effects, in all of its forms and with all of its fine control. 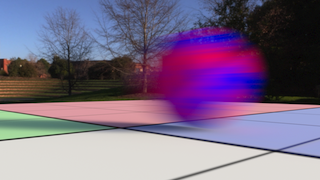 RIS supports the full range of PRMan's motion blur effects, from the most basic motion blur (objects blurring as they pass in front of the camera while the shutter opens and closes), to camera blur (objects blurring as the camera passes them while the shutter opens and closes), to deformation blur (objects changing shape while the shutter opens and closes). PRMan offers extensive control over the virtual camera's shutter, including the shutter opening interval and speed, allowing for superb motion blur effects. 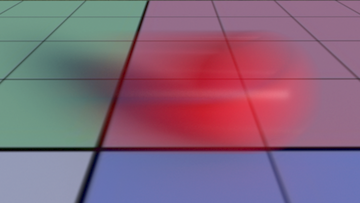 Generally, motion blur is "enabled" as a global setting, then shutter open and close times are used to control the effect. Camera attributes like shutter angle, speed, and the like also contribute. 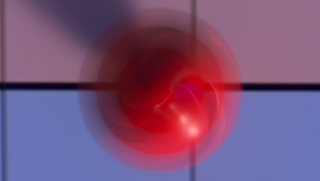 Blur can also be created by moving the render camera, in addition to the objects. Once again, it's generally an effect that is "enabled" via the global settings, and the various attributes of the camera contribute to its overall appearance. 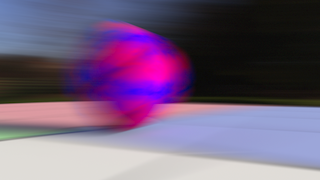 Sometimes simple motion blur is not enough, for example, for spinning objects, like tires, or propellers, or those deadly ninja throwing star thingies. 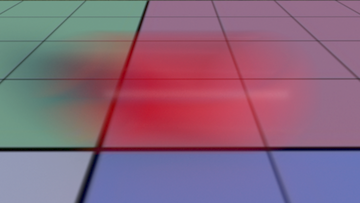 This is where multi-segment motion blur comes into play. 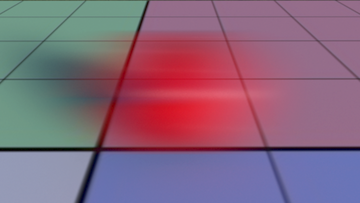 Use the Motion Samples attribute (either per object, or applied globally) to enable multi-segment motion blur. All types of motion blur support this feature. 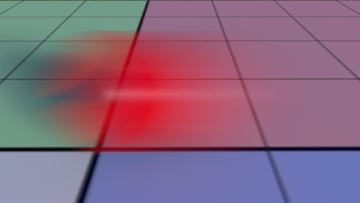 Users have full control over the opening and closing of the render camera's shutter. To more accurately model a real camera shutter, which does not open and close instantaneously, users can specify points in time from 0 to 1 that define the "opening" and "closing" intervals. For more detailed technical information, check out The Shutter Model in the Advanced Camera Modeling application note.